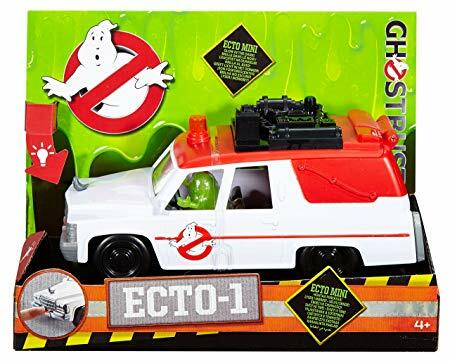 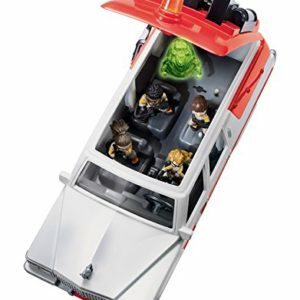 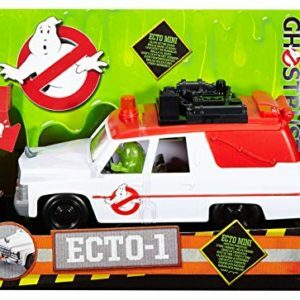 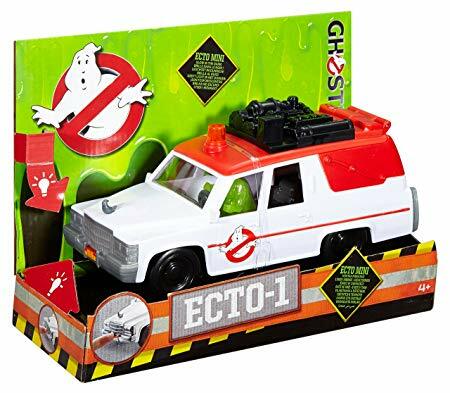 The legendary Ghostbusters movie is back with all new heroes driving their Ecto-1 car. 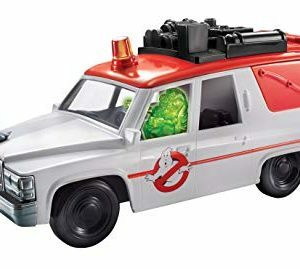 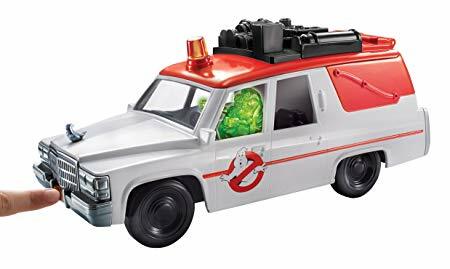 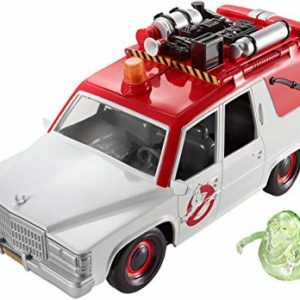 Loaded with iconic gear, this vintage white hearse has sirens, ectoplasmic hoses, the world-famous no-ghost icon and special LED lights that boost Slimer’s glow when he’s inside. 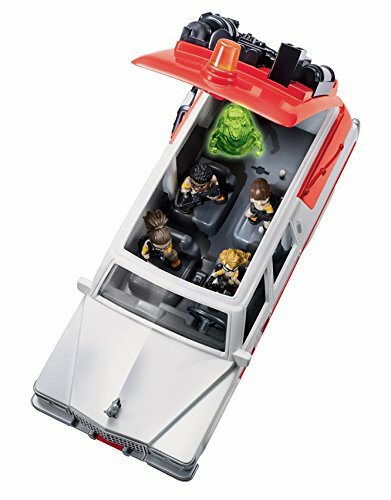 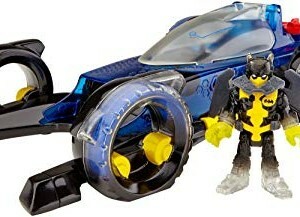 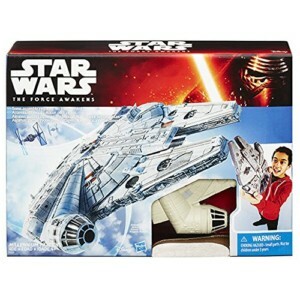 You can also charge up the glow of 8 other mini ghosts, simply open the roof and load them in. 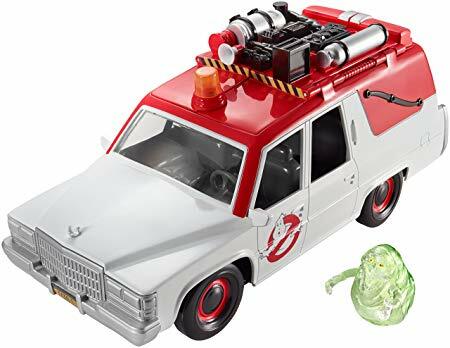 The included, exclusive mini Slimer figure also glows in the dark! 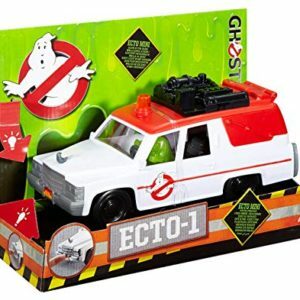 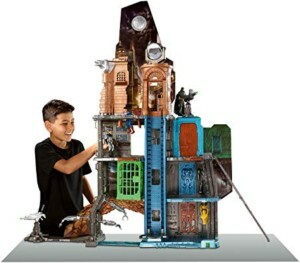 Recreate your favorite scenes, speed through the city, capture ghosts and be a Ghostbusting hero!